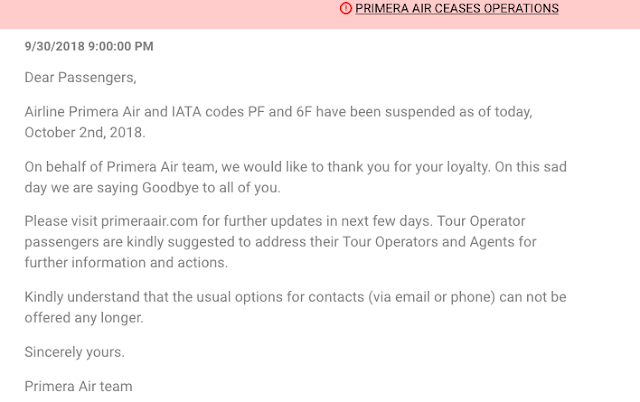 Rewards Canada: October 1 Update: Primera Air ceases operations, great gift card offer from PC Optimum and more! October 1 Update: Primera Air ceases operations, great gift card offer from PC Optimum and more! You can get 7,500 Bonus PC Optimum points for buying a $50 Ultimate Dining Card gift card this week at Shoppers Drug Mart. That equates to a $7.50 rebate and we'd recommend you purchase it on a card like the American Express Gold Rewards Card that earns 2 points per dollar at drug stores for that purchase since that is equal to 2 Aeroplan Miles or British Airways Avios per dollar! 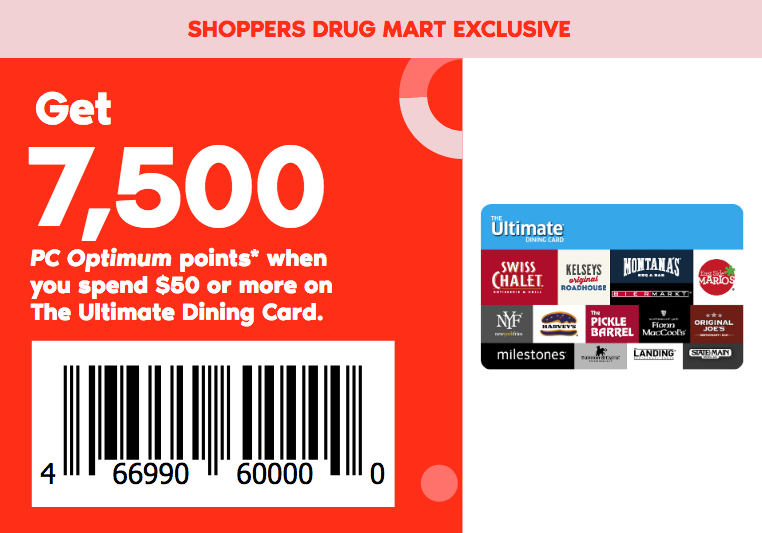 Another good card option is of course the PC Financial World Elite Mastercard since it earns 45 points per dollar at Shoppers Drug Mart stores. Get the coupon for this deal here. Remember keep an eye out on our blog tomorrow for some great new offers!